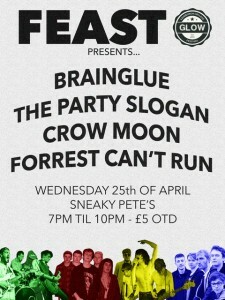 FEAST’s annual ‘blog party’ celebrates its sixth birthday. We like lots of new music, especially from Edinburgh and write about some of the most exciting music being created across the city. Big shoutouts to Pollination Records, Lazarus Records, Green Frog Records and 8-Track Records.